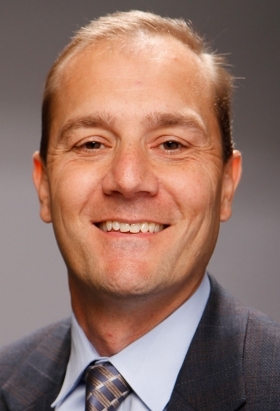 NASHVILLE -- Nissan has shaken up its North American management team by giving more responsibility to Nissan Canada President Joni Paiva and naming Dan Mohnke the new top U.S. sales and marketing executive. Mohnke, a former Saturn executive who came to Nissan in 2006, takes the place of Christian Meunier as senior vice president of U.S. sales, marketing and operations. Meunier has been promoted to a newly created post at Infiniti: global division vice president, with responsibility for global marketing and sales at the luxury brand. The changes take effect immediately. 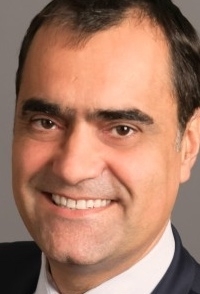 Meunier, a Frenchman who helped boost Nissan’s market share in Brazil and then Canada before being named to his U.S. role by Munoz in early 2016, has held a secondary title of chairman of Nissan Canada. Oversight of the Canadian market will now fall to Nissan Canada President Joni Paiva, who will retain the title of president but report directly to Munoz now. Most recently, Meunier and Paiva helped usher the compact crossover Qashqai into the Canadian market. Through September, Nissan’s total Canadian sales are up 9.6 per cent compare with the same time period last year. Sales were also up 3.2 per cent in 2016 over 2015. Mohnke, who had been vice president for strategy and digital acceleration, has held various marketing and strategic management posts at the company. He previously worked for General Motors in dealer network development, retail strategy and regional operations at its Saturn Division. He was assigned the task of improving Nissan's retail efforts only in May. At the time, the company said he would report directly to Nissan North America Chairman Jose Muñoz. He has been steering the automaker’s campaign to give U.S. sales regions more autonomy and help the company better track and mine data and analytics to support sales. U.S. sales of the Nissan brand through September were down less than a percent after a 5.5 percent gain last year, outperforming the market in both cases. Muñoz is also Nissan Motor Co.’s chief performance officer, responsible for making sure every brand and market under Nissan around the world meets its business goals. Meunier’s reassignment to Infiniti signals additional support for the luxury brand. As president, Krueger has been responsible for a myriad of tasks, ranging from sales in markets around the world to product planning and marketing launches. Prior to coming to Nissan in Europe in 2002, Meunier worked with Mercedes-Benz and Land Rover in Europe. Although Infiniti’s global headquarters are in Hong Kong, Meunier will continue to reside in suburban Nashville, where Nissan North America is headquartered. At the same time, Nissan announced the retirement of Steve Lambert, vice president for information systems, after 25 years with the company, effective Nov. 30.